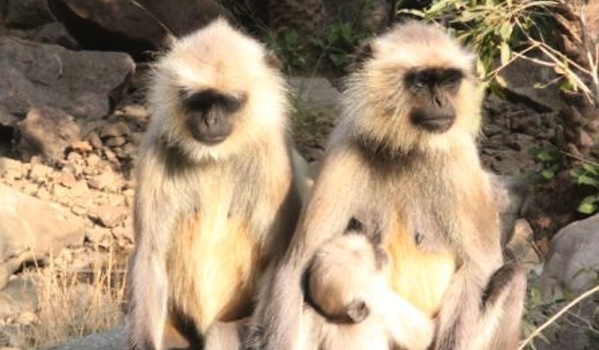 former historian and politician, Yusuf Ahmad Ansari now works at Ranthambhore National Park in Rajasthan. As a conservationist, he’s able to bring travellers up close and personal with all manner of wildlife – including the wonderful tiger habitats. 1. You work at Ranthambhore, India’s most well known National Park and tiger sanctuary. How did you come to work there? I began visiting Ranthambhore due to my association with Jaisal Singh and his family in 2003. As a family friend, I would come for days to stay at Sher Bagh on holiday to get away from my life in politics at the time. After my defeat in the 2007 provincial elections from Uttar Pradesh, Jaisal invited me to become General Manager of Sher Bagh. My inherent passion for wildlife and strong attachment to Ranthambhore led me here initially and I have been resident here since 2007, first as General Manager and now as Director of Wildlife Experiences. 2. Where did your interest in wildlife stem from? As a child, much of my life was spent at our maternal home in rural Uttar Pradesh. Stories of old family hunts, observation of wild animals around and the knowledge of wildlife my family elders shared with me cultivated this natural interest. When my father moved to Nepal for a few years, our home was located quite close to the Royal Chitwan National Park and this developed my interest further. I remember walking into the surrounding forests, sometimes for a swim in the pools. Growing up, holiday destinations combined elements of nature and wildlife; whether it was trekking the high eastern Himalayas, being charged by Elephant in Corbett National Park, hiking through Garhwal or even visiting centres such as Port Lympne on holidays in Britain. I even walked the old Pilgrim Road that Jim Corbett himself took in search of the man-eating leopard of Rudraprayag, as far as Kedarnath, I think I was twelve at the time. What attracted me to the wild and wildlife was the solitude and nature’s inherent capacity to heal and our own genetic, primordial response to this healing. 3. Do you have problems with tiger poaching and what measures are being taken to prevent this? To the best of my knowledge, Ranthambhore has not lost a tiger to poaching since 2005. Poaching of tigers is a wider problem that links into international networks of illegal trade in animal parts and so on and therefore combating the menace must include an interoperable, multi-layered network of government agencies and private initiatives and contributions. In Ranthambhore, specifically we have seen better coordination and a higher degree of trust between the Forest Department and locals in recent years. For example, at Sher Bagh we volunteer support to anti-poaching operations, monitoring, patrolling and so on regularly. For anti-poaching measures to be successful, public-private partnerships must flourish to ensure sharing of information and other resources. Once local communities, even sections of them become involved in the process it becomes harder for outsiders to commit poaching or establish networks on the ground. Processes that are inclusive of people, through education, economic benefits and other resources are more likely to succeed in curbing poaching. Given the high demand for animal parts, especially of tiger one can never become complacent about this threat. 4. Apart from tigers what other animals would I expect to see on a visit to Ranthambore? Are there many wolves or wild dogs remaining in the reserve? Ranthambhore is a unique habitat in that it is the only dry deciduous, dry thorn forest in the world with a natural remaining population of tigers. Under their presence, a host of other species thrive here. Ranthambhore has a very high concentration of leopard and a good number of sloth bear (no to be confused with the South American sloth, this is a species of black bear). 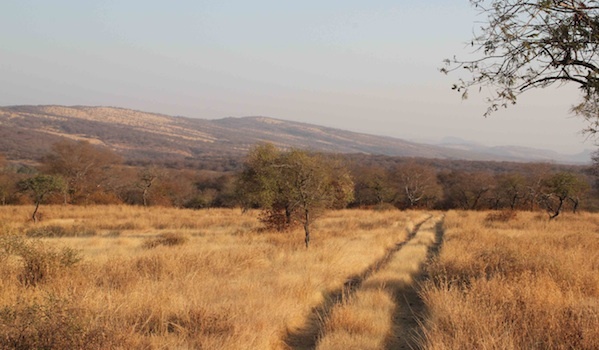 Hyena, jackal, jungle cat and caracal are other sought after sightings though they are elusive. We have a high density of prey species which include sambar and spotted deer, the nilgai antelope, wild boar and other species. For birds, Ranthambhore is an exceptional habitat. Despite being a dry forest, the Park has a number of perennial springs, streams and lakes which allow a profusion of flora which in turn attracts nearly 300 species of birds, many of them migratory. 5. How long would I need to spend at Ranthambore to fully appreciate it? When is the best time of the year to visit? And is seeing a tiger pretty much guaranteed? A minimum of a three night stay which would include 5 and possibly 6 game drives into the Park is what I recommend. In terms of sightings of our iconic species, any time of the year is suitable, between October and early May, though sightings are higher when it is hotter due to greater visibility and concentration of game living in much closer proximity to each other. While there is no such thing as a guaranteed tiger sighting you can be assured that Ranthambhore, statistically at least has the highest sightings of wild tigers in the world. Given that this is a natural wilderness sightings depend in large part on good tracking skills and a bit of good luck! 6. How have you seen the park change, and how have attitudes to the park changed in recent years? Does the park have to limit the number of visitors in order to preserve the ecosystem? In terms of sheer numbers the game count has been steadily rising over the last few years. Species that were rarely seen, 5 years ago, like bear, leopard and hyena are seen more. What is remarkable is that this is not due to any drop in tiger numbers either, those are up to. There is more water than in previous years due to a few good rains and what we have is a healthy and rather diverse ecosystem in place. I strongly believe that tourism is (or can be made to be) a tool for conservation and the preservation of an ecosystem. No doubt, there is a need for both education of visitors to the Park and some regulation, to impart knowledge, awareness and basic forest etiquette at times. As you know, there is a definite limit over how many people can visit the Park at any given time but this is subject to revision as well. Also, unlimited vehicles and access will not enhance viewing experience either. Nonetheless, we are in a period of transition with a new Management Plan being created by the Forest Department with inputs from private operators being included in this. We may actually find that while there will always be a limit on numbers allowed access into the Park, this number may in fact be higher than the current capacity in the near future. 7. How has India’s rapid growth thrown up conservation problems in recent years? Has the country managed to create a trade off between strong economic growth and protecting the natural ecosystem? On the whole, I personally feel India has done more for the preservation of nature within its borders than many other countries around the world. With a rising population that is over three times the population of the continent of Europe, it is remarkable that India still has close to 2000 tigers in the wild and a host of other species. The problems stem from unmitigated mining and badly planned infrastructure development in places but with increasing vigilance this is being controlled too. Obviously economic growth needs development of infrastructure. As long as construction and extensions of infrastructure take into account corridors of wildlife, migration passages and so on we should be okay. We are a country in economic transition but there is also rising awareness about environmental and ecological issues. I think we will find a balance because there is no alternative to that balance. 8. Are there other less well-known national parks and reserves that I should be visiting around India? If so, what is so unique about them? India has over 600 wilderness areas which include National Parks, Tiger Reserves, Sanctuaries, Conservancies and other Protected Areas. There is a huge diversity of wildlife here. Africa counts the Big Five as its iconic species, we have at least a Big Ten which includes Tigers, Lions, Bears, Rhino, Elephant, Bison, Wolves, Snow Leopards and others. Of course Ranthambhore is my personal favourite for the unique blend of history and wildlife that it represents. Abandoned palaces, cenotaphs and copulas entwined in the embrace of nature are all classic Ranthambhore. Where you should go would really depend on what you would like to see. Kaziranga may be an obvious choice if you wish to see a combination of Rhino, Elephant, Wild Buffalo and Tiger all together. Other spots are fantastic as landscapes, for example The Valley of Flowers in Garhwal. Then there is the north-east which is relatively unexplored. 9. As the director of wildlife experiences at the Sher Bagh, can you tell us what is so special about the tented camp? 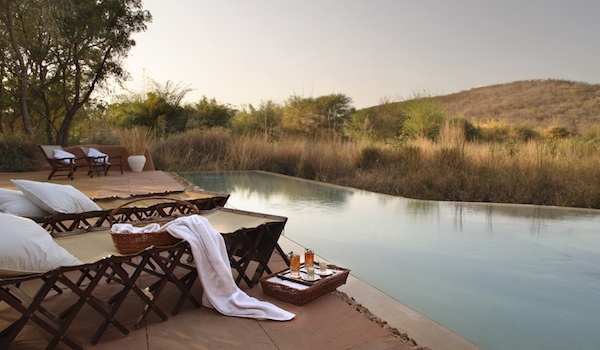 Sher Bagh sits in the heart of a private wilderness bordering Ranthambhore National Park. The location itself is unique. 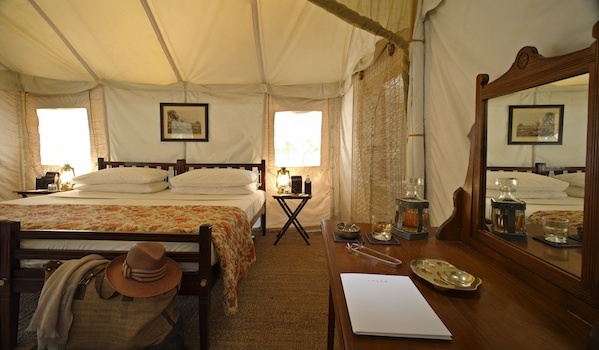 We are the first and only genuine tented camp in Ranthambhore; each of our 1920’s style tents are hand stitched and pegged into the ground using designs and methods of the original hunting camps in the heyday of the Raj. Sher Bagh is a healthy, healing hospitable place where you can pick your own salads for a meal, lounge to the sounds of nature, engage with resident naturalists and historians (and other guests if you like) and really get away from the stresses of modern living. It is a genuine rendition of a now distant life, which most people can only nostalgicise about. There is nothing around Camp that is incongruous with the Tiger Reserve next door and perfect for anyone looking for an authentic wildlife experience while enjoying that in luxury. 10. What would be your tip to get the best out of viewing wildlife in India? Choose your guides and trackers carefully. The correct guide can be a game changer in how you view wildlife and indeed, what you get to see. 11. Aside from conservation, your other love is history, and I understand you are working on a biography of Mughal Emperor Akbar – what is the most unmissable piece of Mughal architecture in India? Fatehpur Sikri is for me the apex of Mughal and Indo-Islamic architecture. Followed by Mandu and Burhanpur. 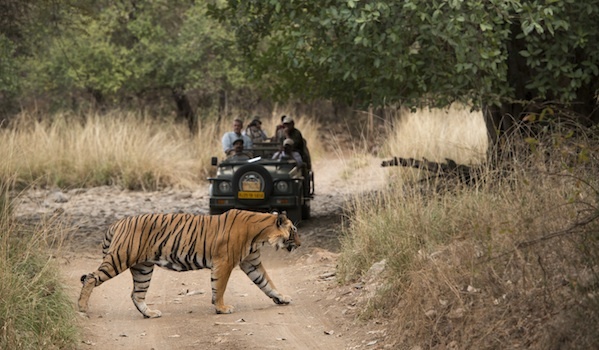 The Ranthambore National park is featured in our itinerary Jewels of India.